Barbara then proceeded with a little of the history of U3A. It started in France in 1972 and was firmly rooted in the universities and were run by them. This model was rejected in Britain, not least because the universities were not interested, nor was the government despite the fact that U3A fitted with government policy. So it was decided to go it alone. Barbara brandished a copy of the annual report which has a cover photo of Eric Midwinter, the last surviving member of the triumvirate of founders. Barbara recommended reading the annual report – usually thought of as a boring document, she said – as it had details of what the twelve regions of U3A are doing. Presently, there are 926 groups in the UK, and while the voluntary sector generally is shrinking, U3A continues to grow. 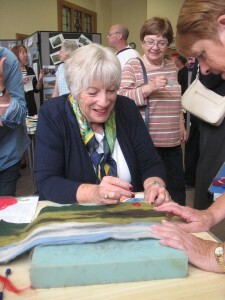 Barbara then drew attention to the principles, vision and mission of U3A. The principles of U3A are mutual aid and self-help. Our Vision is to make lifelong learning, through the experience of U3A, a reality for all third-agers. Our Mission declares our purpose as an organisation and serves as the standard against which we weigh our actions and decisions. It is to: facilitate the growth of the U3A movement; provide support for management and learning in U3As; raise the profile of the U3A movement; promote the benefits of learning in later life through self-help learning. Barbara was especially enthusiastic in relating how, at the end of 2012 the U3A was asked to provide the speakers for an intergenerational debate in the House of Lords, chaired by the Lord Speaker, Baroness D’Souza. The House of Lords worked with The English-Speaking Union (ESU) to deliver the debate. The ESU trained three intergenerational teams of students and U3A members to lead on a separate debate option each – covering the involvement of the state, the family and the voluntary sector in providing social care. The teams were assisted by mentor members of the House of Lords, Lord Haskel and Baroness Pitkeathley. Before ending her talk, Barbara referred to a list of free learning websites which were on a hand-out which each of her audience had been given. There is a wealth of free learning at all levels available on the internet. Prompted by a member of her audience, Barbara returned to the three statements about her. She asked, in turn, how many people believed the first two. A fair number raised their hands in each case. In fact it was the last which was true and had the fewest who had believed. Barbara had sung with Pavarotti twelve times. She then related how, browsing the Sunday paper, on page 37 she had seen an ad asking, “Do you want to sing with Pavarotti?” She responded and ended up in the The World Festival Choir with nine months of rehearsals ahead of her. The culmination was a performance in Verona of Verdi’s Requiem. It took place at 9.00 in the evening with Princess Diana in the front row. At the appointed hour, with the full moon in view, the Angelus bell rang and the performance started. 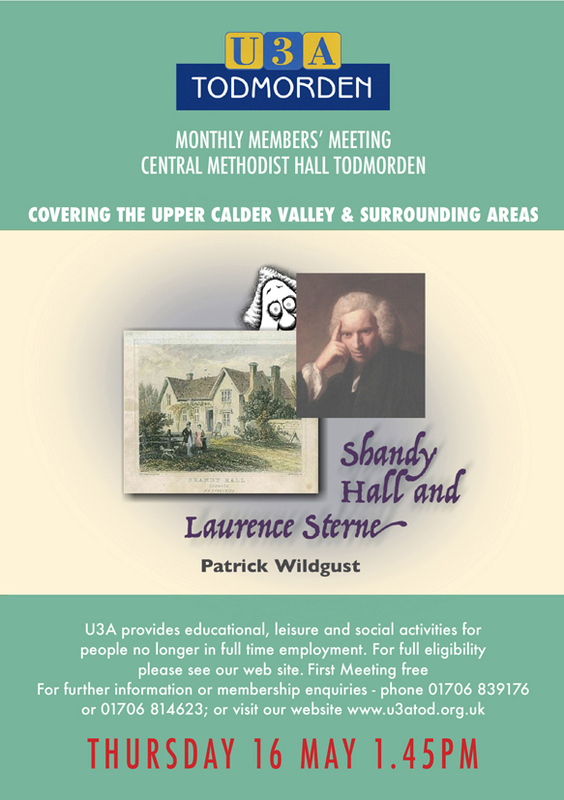 The next general meeting of Todmorden U3A is at 1.30 pm on Thursday 21 October at Central Methodists, Todmorden. The speaker will be Diana Monahan on Canals and Me.